Today I managed to track Wayne Kemp off of HeelanHammer down for a few minutes to ask a few questions. Wayne is a major part of the AoS community for a lot of people. He co-hosts the podcast HeelanHammer, he is a part creator of the biggest Age of Sigmar tournament in the UK, The South Coast Grand Tournament, and now he has also had a large input on the upcoming Generals Handbook. On trolling through Twitter I was stopped by the a post of the finished model of Ogroid (part of the Silver Tower boxset). The vivid colours and contrasts Wayne has created look amazing, the zenithal effect of the skin and blended effects of the hooves and loin cloth are very striking. So here is a very quick interview with Wayne, asking him about this model, his hobby and other bits. Sean: How are you getting on with painting up the Silver Tower models? Wayne: Silver tower painting has slowed a bit as trying to manage other painting projects. Hopefully will have more time for silver tower in a couple of weeks. Sean: Awesome, I have just bought it myself, I love your Ogroid model, the colour tones are absolutely fantastic, what is your recipe for the Skin and the Weapon? Wayne: The skin is wargames foundry paint called vivid blue, it comes in three shades. I base coated the skin with the dark vivid blue then dry brushed that with the lighter shades. I then layered the skin with the lighter shades where needed. Sean: I'll link to the paints you use, I have never tried them myself so will take a look. Obviously you are pretty well known in the AoS community but what is the Age of Sigmar scene like in your area? Wayne: The scene near me went very quiet at first but had been steadily growing as the months have past. All the new releases have attracted a lot of new players to the scene so it will just get stronger and stronger imo. Wayne: I started playing warhammer in 1982 when 1st edition came out and have played every version since. Seeing the old world go was tough for me as I've been with it from the start but games workshop have done a fantastic job of giving us new stuff to digest. The realms are shaping up nicely. Sean: Cool, Are you going to be participating in the upcoming Summer campaign from Games Workshop? Wayne: Myself and Dan will be playing the summer campaign. We will both be attending warlords at warhammer world in September. Sean: Also what sort of army would you love to get your hands on to paint up, if time and money was infinite? Wayne: If I could paint any army regardless of cost it would be the counsel of 13 but all as verminlords. 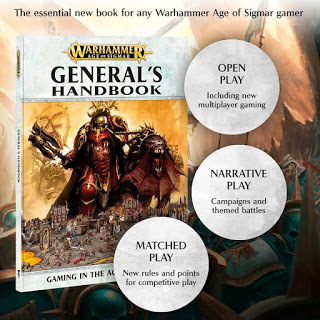 Wayne: The big thing I'd like to promote is the upcoming generals hand book, trust me it's amazing 😀 Problem at the moment is that I can't really talk about even though some of it is on the net already. Gw tell us when we can but that will all be happening very soon. Remember to keep your ears peeled for a special HeelanHammer podcast which will go over the details of the handbook very soon!